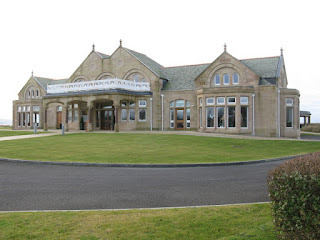 The 2016 British Open golf major tournament is taking place this week from July 14-17, 2016, at the Royal Troon Golf Club located in Ayrshire, Scotland. Here is a list of the prize money up for grabs for the players to win at the 2016 British Open. The total prize money up for grabs at the 2016 British Open is $9.3 million. All prize money for the 2016 British Open has been converted from British Pounds to American dollars at the current exchange rate of 1.31. The winner of the 2016 British Open will earn $1.55 million. American Zach Johnson is the defending British Open champion. Zach Johnson earned just under $1.8 million for his win last year. This year's winner will actually receive over 200,000 more British pounds than Zach Johnson did last year but do to the decline in the pound vs dollar will get less prize money. Second place at the 2016 British Open is worth $890,190. Marc Leishman from Australia and Louis Oosthuizen from South Africa tied for 2nd place here last year. Leishman and Oosthuizen tied with Zach Johnson after 72 holes but lost in a playoff to the American. Third place is worth $571,040 at the 2016 British Open. That is how much money a player will earn if he finishes alone in 3rd place this year. Fourth place is worth $444,436 at the British Open in 2016. Jason Day from Australia and Jordan Spieth from the United States tied for 4th place at the British Open last year.